Before that photo showing a great number of tourists on Cloud 9’s boardwalk went viral, I was there in December last year and had the place pretty much to myself. 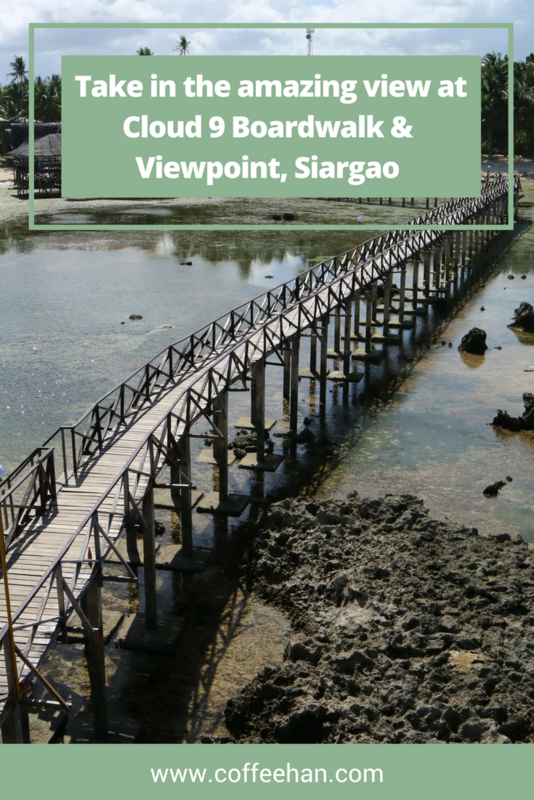 Cloud 9 refers to the surfing wave with a thick hollow tube, that surfers from all over the world go to Siargao for. In the area, there is a boardwalk that leads to a view deck. I walked there all by myself, climbed all the way to the top of the viewpoint. There, I spent, in my estimation, about 30 minutes taking in the scenery and listening to the sound of the waves. There are not many surfers that day, all I had to see was the magnificent view of the sea. 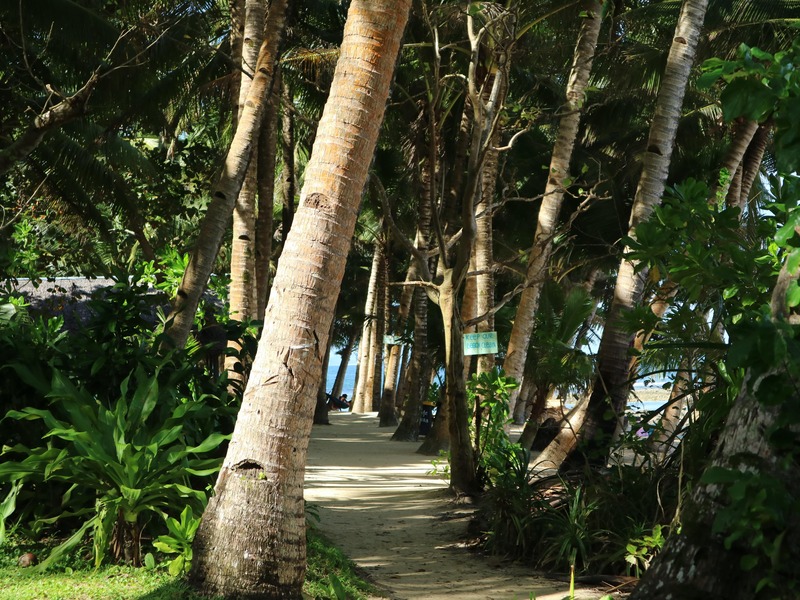 When I went back to the side of the beach, I walked along a path lined with palm trees. There, I saw some surfboards leaning on the trees and further down the path are the surfers, resting in their respective hammocks. Some of them asked me if I wanted to surf, I just smiled and shook my head no. The first and the last time I tried surfing was in Baler years ago. It was a very challenging and exhausting activity, but not something that I found to be exhilarating. Hence, I never surfed again in other surfing destinations that I visited like La Union and Siargao. I am not sure if I will ever do surfing again, but I decided it wasn’t going to be on this trip. 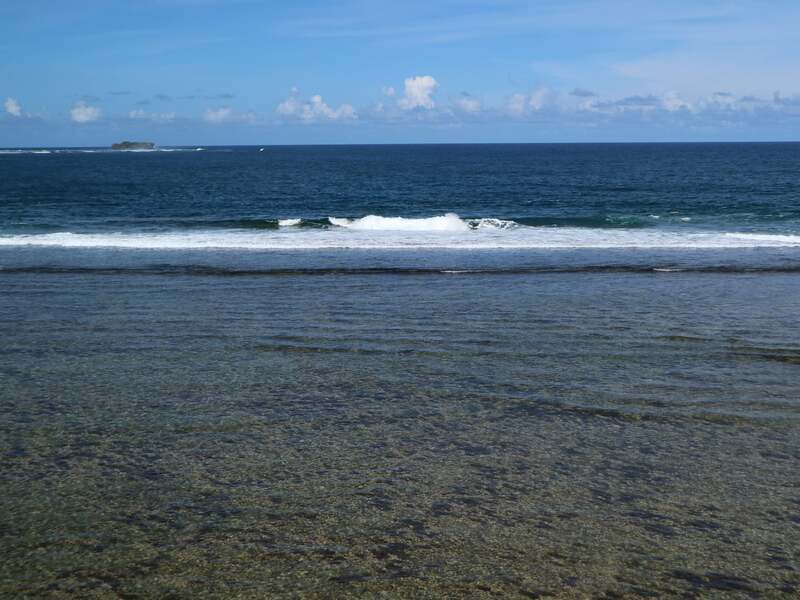 Having been there, I can understand the lure of Siargao and couldn’t blame people for wanting to visit this paradise. I think though that Siargao is not yet ready to accommodate a surge of tourists, unlike Palawan or Boracay. There are not many tour operators in the area, the island tours are not as streamlined as the ones in El Nido, and the locals, not as aggressive in offering tourists to help them get around the island. 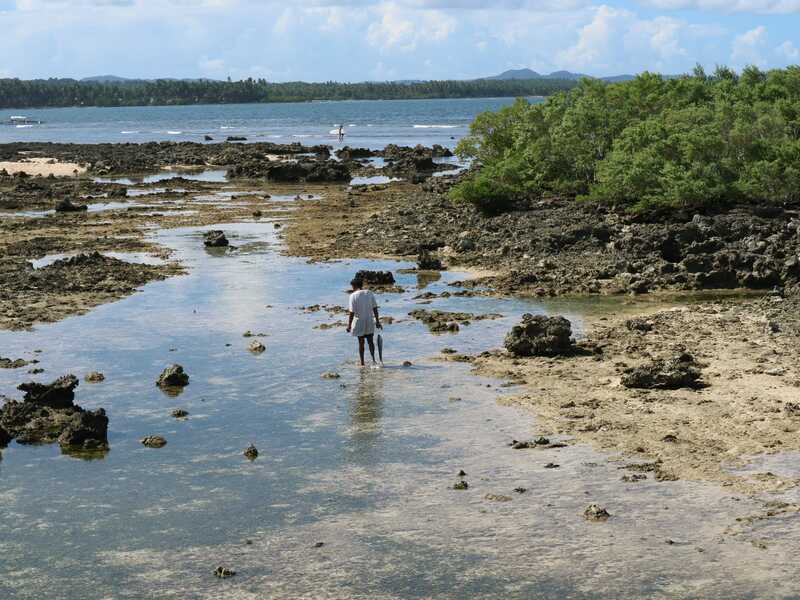 I just hope that we would all be responsible travelers when we visit not just Siargao but any other destinations. Do not leave your trash behind, don’t throw it out the sea, don’t do anything that would harm the environment. Leave with nothing but memories. Maybe the crowd is explained by the peak season, I sure hope that is only the case. Siargao is one the most beautiful places I have ever seen in my country, it would be heartbreaking if its beauty would be ruined by the neglect of men. Tourism is good for the economy, but as all things, it should be done in moderation and with good planning. There should be some level of control from the local government and tourists should be guided accordingly. I guess I made the right decision visiting in the time when others are busy doing something else. Being alone at the Cloud 9 view deck is one of my favorite moments in my short time in Siargao. I do hope the place will be maintained, and the beauty of Siargao retained so that more people can go visit and appreciate it. 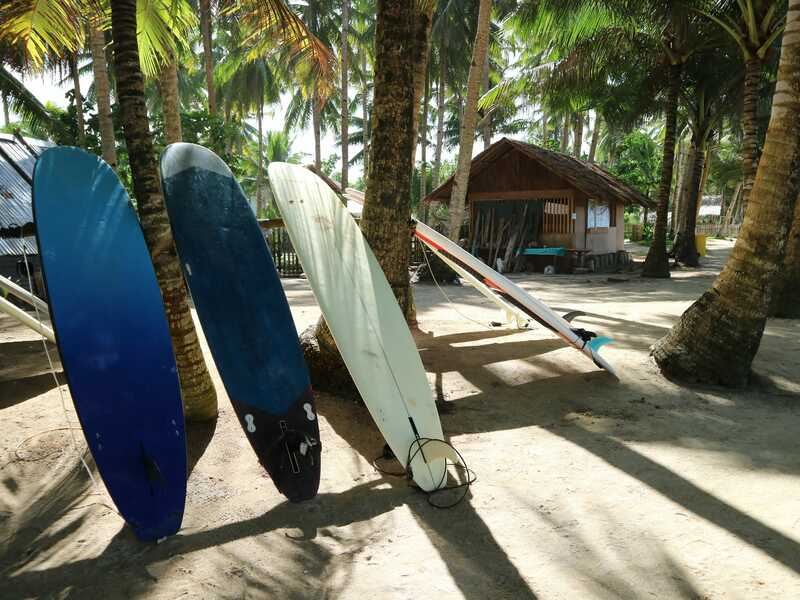 I loved the Phillippines but didn’t manage to get to Siargao on my last visit! I’m hoping it stays quiet and relatively undiscovered until I can get back there to visit! I looks like paradise and I hope it stays that way!! Ive been wanting to visit Siargao but the boat ride as the only transportation to this secluded place makes me think twice. If we can visit this place, i hope that we can still see its natural beauty and not the ruins that some people brought to this island. Hi Cat, a boat ride is not the only means of transportation in Siargao. I don’t know where you got that information but it’s wrong. This is a really accurate read. I saw the recent photos of the Cloud 9 Walk almost in ruins. That’s really sad to see how people are traveling irresponsibly just for likes in their social media accounts. I loved it how you include being responsible in your blog especially this is the era of travelling. Visiting a spot when others are not around and you can have it to almost yourself , is always rewarding. I really like the views from the boardwalk at Cloud9. And I can imagine how beautiful it must have felt at that hour of the day when you visited here. This is why I’ve been wanting to visit Siargao for a long time before it becomes touristy. Siargao looks like a paradise, I’d hate it if irresponsible travelers ruin its beauty. Your photos look amazing. I would do the same probably – take in the beautiful scenery and sounds of waves. Siargao has a special place in my heart. The first, and the last time, I was on the island, I had the Boardwalk all to myself too. I was going through a breakup at that time and when I was at the top of the view deck, it was the first time that I actually felt that I was going to be okay. The strong winds and the sounds of the waves calmed me, and it felt so relaxing. It felt like hours have passed, though I’m not actually sure how long I was there. LOL I also agree with you, I hope that future tourists won’t destroy such an amazing island and that they will be responsible travelers when they do visit. Traipsing my feet on this well constructed boardwalk and climb to the top of a viewpoint is something I should do as well If I get the chance to visit here. I’ve heard about this place before in a movie and good that thing that you went here just before it went viral online. I can really imagine myself staying on the viewing deck while listening to waves as it kissed the coast, it must have been an amazing experience for you. Just like you, I also wish that this slice of paradise will be preserved and hopefully, travelers who traipse their feet here will practice Leave No Trace Principle to really kept the beauty of Siargao. Thank you so much for sharing this with us Marj.